But we can use the relevant sections of code dealing with masonry fireplaces such as wall thicknesses and clearances to combustibles. Section R1001.5 requires firebox walls to be at least 8" thick. Wood-fired ovens have fireboxes so make the walls at least 8" thick. Section R1001.11 requires firebox enclosures to have a 2" clearance from combustibles at the sides and front and 4" clearance at the back so build the oven with the same clearances. 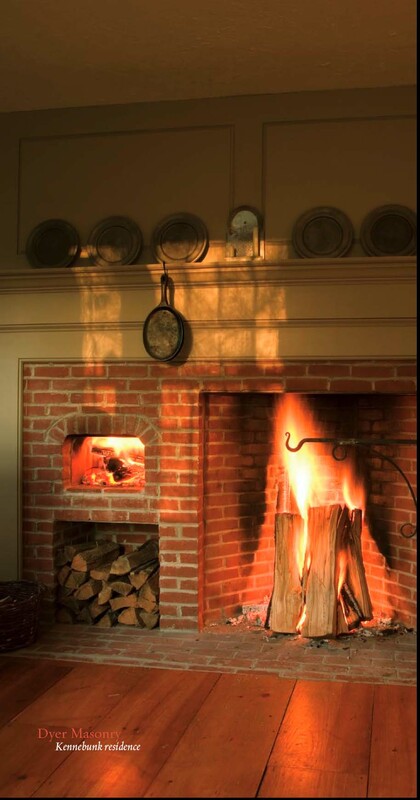 Section R1003 deals with masonry chimneys and also allows Class A metal chimneys to vent wood-fired fireplaces and stoves so follow that section when building the chimney for a wood-fired oven. 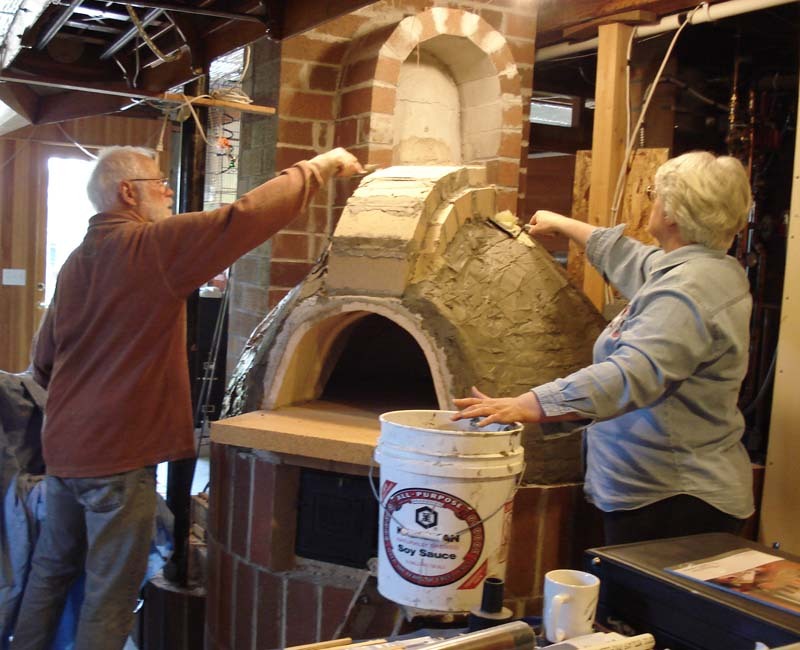 Bottom line is that Superior Clay masonry ovens should be built to meet all the relevant sections of code regulating masonry fireplaces and masonry chimneys. Note: If the oven is to work correctly - get hot in a reasonable length of time and stay hot long enough to cook in - the oven shell needs to be well insulated. Our Instructions call for at least "a 2" thick layer of insulating refractory concrete" (which is provided with the oven) and then more insulation on top of that so that the 8" thick oven walls are at least half insulating masonry. An oven fired all day will have a surface temperature less than twenty degrees above room temperature. An insulated masonry oven is far safer than a masonry fireplace built to code. Buy oven components from a dealer near you.